The studios are conveniently situated on a quiet side road away from the main road to Rethymno, the long sandy beach is only a short walk away, while the centre of Platanias with its tavernas, bars and shops is a 2 minute walk away. The Marianthi Apartments are set in their own garden which together with the two pools are a great place to relax and unwind. A garden bar is available for guests. Perfect for couples, families and independent travellers, the low cost Studios are available all year round. (Pools not available during Winter months). 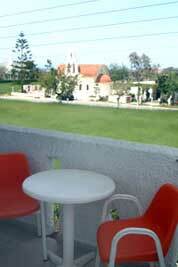 Nikos and Roussa will make your stay a memorable one with their wonderful Cretan hospitality. They have earned themselves a well deserved excellent reputation in their 25 years of hosting visitors, with many of their guests returning every year for their holidays. The apartments are ideally situated in the region of Rethymnon, which is in the centre of Crete and provide very affordable holiday accommodation, providing a fantastic base for exploring the whole island, either by public transport or by hiring a car. The town of Rethymno with its Venetian harbour is only 5km away. 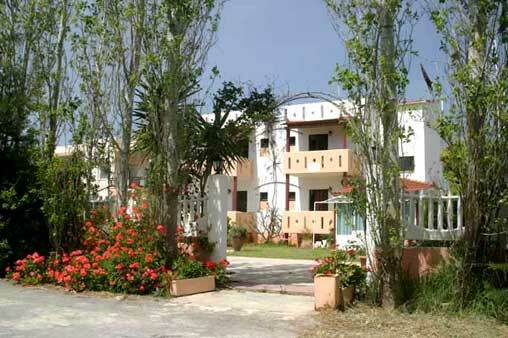 The Marianthi website contains more detailed information about the accommodation. If there is any more information you need, please feel free to contact us. Click on our website link below.